Event will feature a special pre-recorded video interview with the directors. 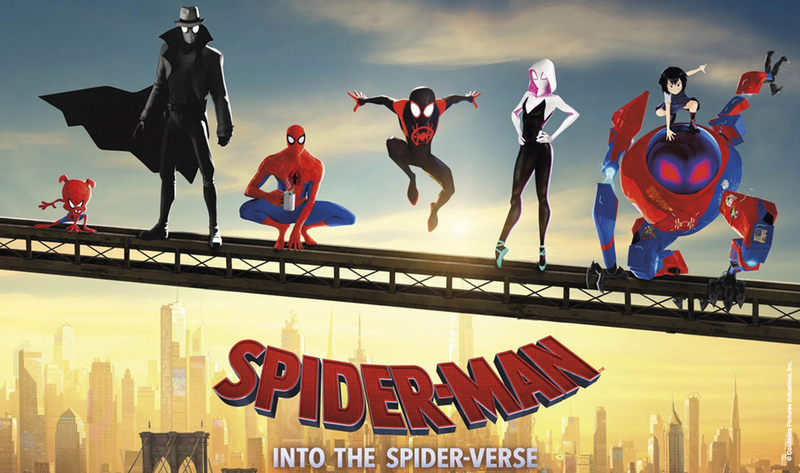 Arizona State University students and the extended Phoenix community will have a chance to watch SPIDER-MAN: INTO THE SPIDER-VERSE inside Sun Devil Stadium. The event will feature a special pre-recorded video interview with the directors, Peter Ramsey, Bob Persichetti and Rodney Rothman, made especially for this event. The interview and free screening were inspired in part by the Projecting All Voices initiative at the Herberger Institute for Design and the Arts. Students and the public can RSVP here. DETAILS:This year’s Oscar-winning film for Best Animated Feature promotes a message of innovation and inclusion. Directors Peter Ramsey, Bob Persichetti and Rodney Rothman bring their unique talents to a fresh vision of a different Spider-Man Universe, with a groundbreaking visual style that’s the first of its kind. Spider-Man™: Into the Spider-Verse introduces Brooklyn teen Miles Morales, and the limitless possibilities of the Spider-Verse, where more than one can wear the mask. The directors will speak about the importance that inclusion had on the making of the film. The storyline and its theme of inclusion inspired the hashtag #AnyoneCanWearTheMask. Attendees will be given Spider-Man masks to put on when prompted by the directors at the end of the interview. This event is hosted by ASU 365 Community Union. The interview was made possible by ASU Film Spark, Marvel Studios, Sony Pictures Animation and ASU alumnus, Michael Helfant. To RSVP, visit the ASU 365 Community Union website.